The IEEE Computer Society traces its origins to the 1946 formation of the Subcommittee on Large-Scale Computing of the American Institute of Electrical Engineers (AIEE). Five years later, the Institute of Radio Engineers (IRE) formed its Professional Group on Electronic Computers. The principal volunteer officers of both these groups were designated chairs. The AIEE and the IRE merged in 1963 to become the Institute of Electrical and Electronics Engineers (IEEE). 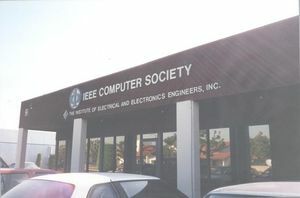 The respective committee and group of the predecessor organizations combined to form the modern IEEE Computer Society. The society's principal volunteer officer has been designated as president since 1970. The Computer Society celebrates its fiftieth anniversary year in 1996. In the fifties, the PGEC became an organization with many elements of the present Computer Society, notably excepting the technical and education committees. Conferences were the most significant early activity, but publications grew rapidly with some 1,800 editorial pages generated during the decade. At the end of the fifties, the PGEC was the largest professional group in the IRE. It had 19 chapters across the US and 8,874 members, including 8,129 full members, 679 student members, and 66 affiliates. PGEC services in the early sixties were much the same as in the late fifties, although the number of conferences and transactions pages continued to increase. However, in 1961, the PGEC leadership began to consider creating technical committees. These committees would provide more forums for special interests and, at the same time, reduce the chance of these interests forming separate IRE groups and segmenting the field. In May 1962, the first of these committees, a logic and switching theory committee, was approved to operate jointly with the AIEE committee already in operation. Concurrently, merger plans were proceeding between the IRE and AIEE. The IRE-AIEE merger into the Institute of Electrical and Electronics Engineers began at the headquarters level in 1963. The PGEC then became the Professional Technical Group on Electronic Computers, and very shortly thereafter, the Computer Group. In early 1963, the group began operating with an Administrative Committee that included a mix of PGEC and AIEE CDC people. The final merger was completed in April 1964. A major step was taken in July 1966 with the first issue of the bimonthly Computer Group News, which included group and industry news, applied and tutorial articles, a guide to computer literature, and a repository of computer articles. Repository materials were available to the profession for a nominal charge. Computer Group News opened the door for many magazines in the society, as well as in IEEE. But it was also significant in another way. With the publication of its own magazine, the Computer Group employed and managed its own small full-time staff in the Los Angeles area for publications support and other administrative activities. The Computer Group was the first IEEE group to employ its own staff, and it was a major factor in the growth of the society. In 1968, IEEE Transactions on Computers became a monthly publication. The number of published periodical pages grew to almost 9,700 pages in the transactions and about 640 in the Computer Group News. Membership grew to 16,862, including 4,200 students and 158 affiliates. The decade closed with 41 chapters. In 1971, the Computer Group became the Computer Society. (The Computer Group promoted this name change to better represent the stature it and other IEEE groups had attained.) For the Computer Society, the seventies was a decade of significant growth in both the depth and breadth of services. Membership grew by a factor of over two-and-a-half. The society's publication program grew rapidly. The Computer Group News, renamed Computer in 1972, became a monthly publication in 1973, and significantly increased its tutorial-oriented content. At the same time, IEEE Transactions on Computers was unbundled from it, making Computer the only publication received automatically with society membership. The subscriber base to the now optional transactions held up well, and the society learned it could expand its publications program outside the membership dues structure. The society introduced the IEEE Transactions on Software Engineering in 1975, and the IEEE Transactions on Pattern Analysis and Machine Intelligence in January 1979. The decade saw the publication of more than 25,000 periodical pages: about 13,500 pages for the IEEE Transactions on Computers, about 4,100 pages for the IEEE Transactions on Software Engineering, over 400 pages for the IEEE Transactions on Pattern Analysis & Machine Intelligence, and over 8,000 editorial pages for Computer. Late in the decade, the society formalized its nonperiodical publications into the Computer Society Press. The operation mainly produced conference proceedings, tutorial texts, and reprints in the seventies. Fourteen new technical committees were formed, making a total of 20 by the end of the period. The committees contributed significantly to growth in the number of specialty conferences and meetings. In the late seventies, the Computer Society was sponsoring or cosponsoring about 50 technical conferences, meetings, and symposia, many with ACM. The society initiated the Education Committee in 1970, and produced the first model curriculum in 1976. The Distinguished Visitor Program began providing speakers to chapters in 1971. The Computer Society was also the first IEEE society to establish student branch chapters. This activity began in 1974 as an experiment and was subsequently adopted by the IEEE. Additionally, the society formalized and expanded its awards program in this decade. The staff supporting the society's operations also grew. The position of executive secretary was created in 1971. By the end of the decade the Computer Society staff numbered 16 permanent employees: two in the executive secretary's home office in Silver Spring, Maryland, and 14 in the publishing group's rented space in Long Beach, California, plus several temporary part-time people in both locations. The needs and viability of the publishing organization grew to the extent that, late in the decade, the society started the process of acquiring its own building in Los Alamitos, California. By the end of the seventies, Computer Society membership had grown to 43,930, including 7,833 students and 3,943 affiliates. There were now more than 100 chapters, including about 30 student branch chapters. Within the Computer Society, the growth of the seventies continued in every function, but with new dimensions and changing emphasis. This was the decade of new magazines, major standards activities, new education initiatives, international services, and a significant growth and refinement of staff services and facilities. Within the society, the breadth of the profession and member interest in the more tutorial-oriented materials published in Computer prompted the creation of similar magazines in specialty areas. The society introduced IEEE Computer Graphics & Applications in January 1981, IEEE Micro in February 1981, both IEEE Design & Test and IEEE Software in February 1984, and IEEE Expert in the spring of 1986. IEEE Transactions on Knowledge & Database Engineering was introduced in September 1989. IEEE Transactions on Software Engineering and IEEE Transactions on Pattern Analysis & Machine Intelligence moved from bimonthly to monthly publication in 1985 and 1989, respectively. The society published more than 65,200 periodical editorial pages during the decade -- with over 33,400 pages in transactions and 31,800 pages in magazines, including 12,700 in Computer. The number of technical committees continued to grow, mirroring the diversity in the computer industry. Fifteen new technical committees brought the total to 33 by the end of the decade. These committees were the primary sources of conferences and meetings. The society sponsored and cosponsored more than 50 conferences annually and cooperated, without financial involvement, with other organizations in dozens more. Interest in the more vertical or specialty conferences increased, relative to the broad conferences such as Compcon and Compsac. Several of the specialty conferences drew many more attendees than the broad-based conferences. The number of meetings held outside the US grew significantly, many of them sponsored by technical committees. In the eighties the society sponsored and cosponsored more than 90 conferences outside the US. CompEuro was initiated in 1987, cosponsored with IEEE's Region 8. The technical committees began to support standards activities in a major way. The results were remarkable. At the end of the decade, 56 standards had been approved and 125 working groups were under way. These projects involved well over 5,000 people. The growth in society services was clearly fueled by the industry's growth and by the many volunteer professionals who were motivated to provide the technical base for these services. But this growth simply would not have been possible without the staff support that developed during this period. The society brought in its first executive director in 1982, and the staff developed from 16 people at the beginning of the eighties into a highly professional operation of 94 people by the end of the decade. The Computer Group staff operations had begun in the garages and basements of its first publisher and executive secretary. In early 1980 the West Coast publishing operation moved into its newly purchased building, and in 1985 the space was doubled with the purchase of the adjoining building. 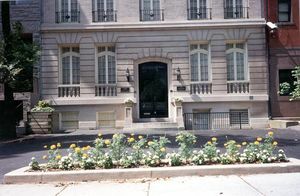 Also in 1985, the society purchased its current headquarters building in Washington, D.C., and extended its staff support overseas by opening an office in Brussels. 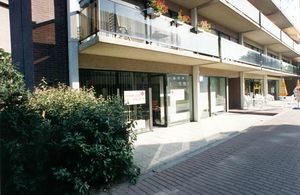 The Brussels office was expanded in 1987. 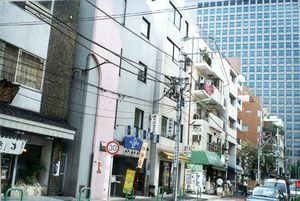 In 1988, an office was opened in Tokyo. These offices represent a major step in serving the society internationally. Together with the industry it represents, the Computer Society experienced unprecedented growth in this decade. Membership peaked at 107,049 in 1990, including 12,456 student members and 27,157 affiliates. To manage this growth, the society initiated in 1991 a formal process of strategic planning. The planning committee convenes every third year to steer the course of the society. With the opening of the Eastern European countries to the West, the society rapidly revived its contacts with the national computer societies and established local chapters in that region. A special committee, the Central and Eastern European Initiatives Committee, was formed to promote such activities. Subsequently, similar initiatives were also launched in Latin America (Region 9) and in China. As new areas in information processing were developed, the society also added new journals to meet the demands for knowledge in these new sub-disciplines. So, in 1990, Trans. on Parallel & Distributed Systems was launched. And in 1991, Trans. on Networking was jointly launched with the IEEE Communications Society and ACM SIGCOM. We introduced the Trans. on Visualization & Computer Graphics in 1995 and Internet Computing in 1997. We closed out the decade with the launching of IT Professional in 1999. We published 24 journals and periodicals.In 1999 the total number of editorial pages published was 70,661 including 6,408 in transactions, 4,529 in magazines, 57,880 by the Computer Society Press (Conference Publishing) and 1,844 by the CS Press (Books). This was also the decade which saw the coming of age of the internet and digital publication. The society was either the first or among the first to make use of the new technology. The digital library was first introduced in early 1996 in the form of a set of CD's of 1995 periodicals. Soon afterwards, it was put on the web and the IEEE Computer Society Digital Library (CSDL) was formally launched as a product in 1997. This decade also saw a number of accomplishments by the Computer Society in the Standards Activities. The IEEE 802.11 became perhaps the most popular and well-known protocol of the industry. It had its origin in the late seventies proposed by a group of Computer Society volunteers working on the Ethernet standards, IEEE 802.3. Over many years of hard work starting in 1990, the wireless standards working group made it an official international standard in 1997. The number of conferences sponsored by the society also saw a rapid growth. The practitioners preferred smaller special topic conferences of two to three hundred attendees instead of large board based conferences. We sponsored or co-sponsored about 125 each year with 143 Computer Society meetings in 1999. We still held large international conferences with thousands of attendees the most notable were: SC (formerly Supercomputing), International Conference on Data Engineering (ICDE), International Symposium on Fault-Tolerant Computing (FTCS), International Parallel and Distributed Processing Symposium (IPPS), International Test Conference (ITC), and Visualization (VIS). With all the new activities, we added more staff. Towards the end of the nineties, we had a staff of over 120. In addition to our Headquarters in DC and the publication office in California, we have also an office in Tokyo and centers in Budapest, Moscow and Beijing. The first decade of the 21st century was a decade of transition. Like various other professional societies, the Computer Society faced changing times: a move from the traditional printed journal world to a world with information being presented in multiple digital formats as well as in print; pressure for "open access" publication by libraries and individuals; various areas of member services grew, e.g., education and conferences. Membership peaked and then somewhat of a declined. The Society's relationship within the IEEE changed; previously considerably independent of the IEEE (which was facing its own change challenges), the Society became more integrated into the IEEE, both in terms of sharing systems and in alignment of approaches to governance. These changes had financial, organizational and personnel, policy, and technology impact. The Information Technology area underwent several significant iterations of technology to support distance learning, creation and refinement of the Society's Digital Library, delivery of publications in multiple formats, including audio and visual formats, on-line special interest communities, and so on. In general, the Society is moving increasingly to digital rather than print publication and communication. In the face of these changes, the Society continued to flourish as a professional Society. New publications were founded: IT Professional, IEEE Security and Privacy, IEEE Transactions on Mobile Computing, IEEE Pervasive Computing, IEEE Transactions on Affective Computing, IEEE Transactions on Haptics, IEEE Transactions on Learning Technologies, IEEE Transactions on Services Computing, IEEE Transactions on Information Technology in Biology, and IEEE Transactions on Nanobiosciences. In some cases these publications were done in collaboration with other IEEE societies. A number of the Society's publications (of which the Society has 27 total, sponsored or cosponsored, at the time of this writing) increased in prominence in their respective fields during the 2000-2009 decade. Standards activities during the decade involved thousands on volunteers working on hundreds of standards. Providing courses to members, including via distance learning, was a growing activity during the decade. In particular, the Certified Software Development Associate (CSDA) self-assessment program based and the Certified Software Professional (CSDP) program, both with 15 modules and based on the "Software Development Engineering Body of Knowledge." Putting on conferences was also a growing activity. By the end of the decade, the Society was involved in the vicinity of 200 conferences a year; and increasingly the Computer Society became a conference/proceedings service for other IEEE Societies. In 2006 the Society celebrated its 60th anniversary. An addition to one or another other activities, the Society produced a special issue of Computer Magazine for the 60th anniversary. As the world continues to move deeper into the digital age, the Society will continue to have to evolve. The decade 2000-2009 has left the Society well positioned for the second decade of the century.